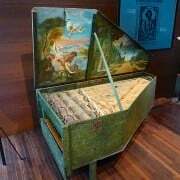 Enjoy seeing and hearing unique and historic musical instruments from all over the world in the Muziekinstrumentenmuseum / Musée des instruments de musique. 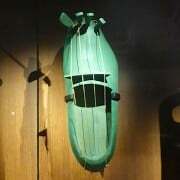 The Musical Instruments Museum (Muziekinstrumentenmuseum / Musée des instruments de musique) in Brussels has one of the largest collections of musical instruments in the world. Well over a thousand instruments from all parts of the world are on display from the collection of over 9,000 items. Visitors can listen to many short recordings on automatic headsets. Admission is very cheap for under 26-year olds but a lack of English is unfortunate, especially as 70% of visitors come from abroad. The Musical Instruments Museum (Muziekinstrumentenmuseum in Dutch / Musée des instruments de musique in French / MIM for short and mim for short and pretend modern) is one of the great and spectacular museums at the Mont des Arts (Kunstberg) in central Brussels. 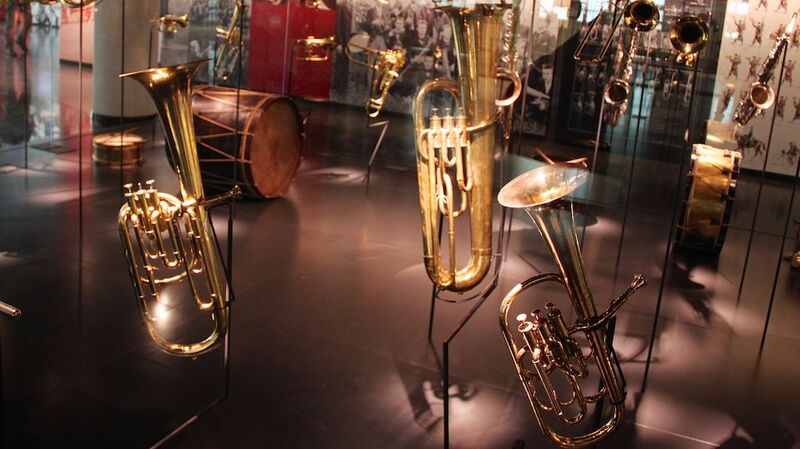 The museum’s inventory exceeds 9,000 instruments of which well over thousand are on display at any given time. Many can be seen and listened toonline. The musical instruments on permanent display are spread over three flours while a fourth floor is used for temporary exhibitions. On the ground floor, the main displays are instruments from Belgium, early instruments, and instruments from various parts of the world. 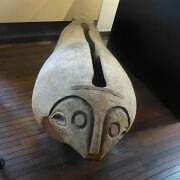 Currently, a large collection of percussion and wind instruments from Africa and Asia can be enjoyed. In the basement, the emphasis is on automatic instruments from the late 19th and early 20th centuries. These include mechanical, electrical and a few weird electronic instruments. On the first floor, the emphasis is on string and keyboard instruments. On show is a large range of pianos and violins as well as the huge number of similar string instruments. 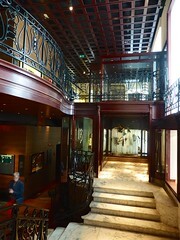 The upper floor of the museum is used for temporary exhibitions. Up to mid-January 2015, the special exhibition is on the Belgian instrument maker Adolphe Sax. He created much more than just the saxophone. Visitors to the Musical Instruments Museum in Brussels receive an audio player that automatically starts to play short recordings of many instruments on display. These players work with a small speaker, or visitors can plug in their own headphones, which is a good idea, as it can get noisy when busy. However, most visitors should probably be able to enjoy seeing and listening to the instruments without further explanation. The museum is also surprisingly non-interactive. Apart from the automatic music players, there is nothing else to push or pull or swipe. Visitors can hardly expect to be let loose on the historic and unique musical instruments but many other museums manage to provide at least some interactive displays and activities for children. The Musical Instruments Museum just off Place Royal on the Mont des Arts (Kunstberg). Since 2000, the museum has been located here in two buildings: a neo-Classical edifice (1774) by Barnabé Guimard that forms part of the Place Royal and more spectacularly the Art Nouveau “Old England building” (1899) by Paul Saintenoy. This former Old England department store is one of the earliest examples using iron and steel with a lot of glass for a commercial building rather than a train station or similar infrastructure project. The building was restored to its former beauty during the 1990s – note the many English symbols on the exterior, especially the faience reliefs that drew shoppers to this once classy Brussels establishment. The Musical Instruments Museum at Hofberg / Montagne de la Cour 2 in Brussels is open Tuesday to Friday from 9:30 am to 5 pm and on weekends from 10 am to 5 pm. The museum is closed on Mondays and on some public holidays. Admission tickets for the museum is €12 for adults 26 to 64 years and €9 for visitors older than 65. Children and young adults (4 to 25) pay only €2. Admission is free each first Wednesday of the month from 1 pm. Tickets may be bought online, which is a good idea as lines move very slowly at the cashier (and again at the separate issuing of the audio player). Coats and even fairly small bags need to be checked in at the free cloakroom. The Egmont and 48 trades statues in the Kleine Zavel Park (Place du Petit Sablon) – a short stroll down Rue de la Régence from Place Royal. Grand Place (Grote Markt) – one of the most impressive squares in Europe. More photos of the Musical Instruments Museum on Flickr.